There’s an application for every mower and each machine has its advantages and disadvantages. Before purchasing any mower, or for that matter any large piece of equipment, it is incumbent upon the buyer to demonstrate it, ensure that it operates well, and determine that it fits the application. Oftentimes, though, a mower’s true benefits are best revealed in real life, while mowing several accounts over time. It’s then that things like maneuverability, compact design, balance, ease of maintenance and so forth come to the surface. That holds true for their mowing decks, too. As an out front mower manufacturer, Walker Manufacturing is more than a little biased about the value of owning and operating a mower equipped with an out front deck. But don’t take our word for it. It’s best to talk with landscape contractors who have been using them for several years. Sposato Landscape & Irrigation in Milton, DE, has been using Walker Mowers since 1995. The company’s satisfaction with the machine and its out front deck is evidenced by the fact that it currently operates 73 of them on a variety of properties, everything from HOAs and high-end residential accounts to several 55-and-older communities. 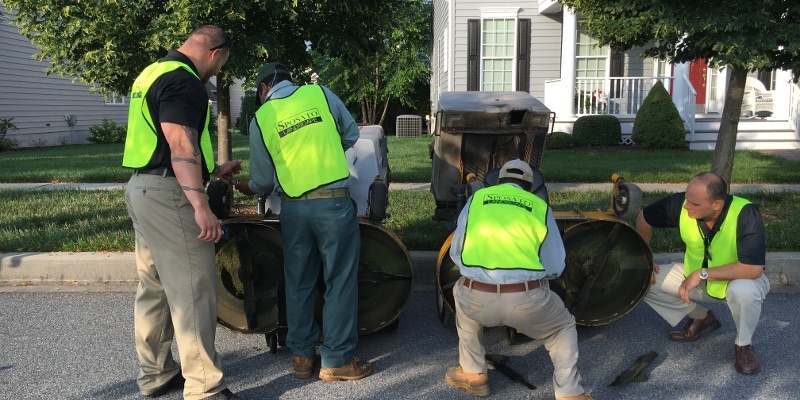 Here are four advantages that stand out for company president Tony Sposato and account manager Jason Powell, who has been with Sposato Landscape & Irrigation for 11 years. Three of the four above advantages (reduced trimming time, visibility and accessibility) help define productivity, something that’s important to the bottom line for any size company. Decks that deliver a superior cut also deliver repeat business, which also adds to the bottom line. Sposato’s company rotates engines every 3,000 hours and completely overhauls mowers every winter. In between, crews are vigilant about routine maintenance, something that keeps mower and deck where they belong: in the field. 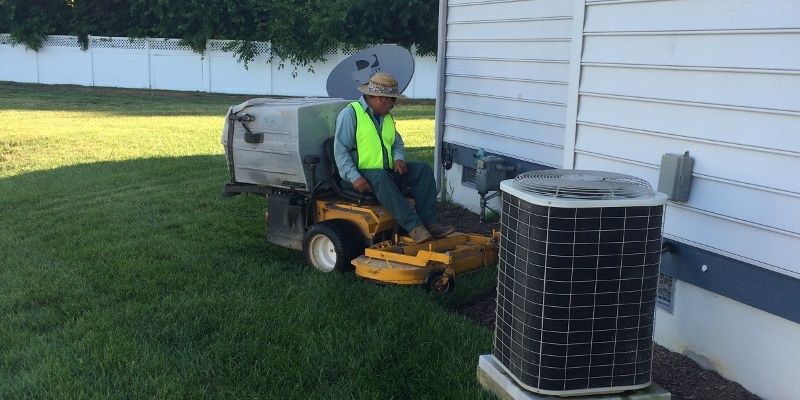 All mowers with out front decks share many of the same attributes. But only Walker Mower decks will deliver the manicured, finished look that your customers have come to appreciate. Here’s how they do it. 1. True floating design. This allows the deck to follow the contours of the lawn. With Walker Mowers, only a fraction of the tractor’s weight is carried by the deck wheels compared to the competition. Working in combination with a flexible carrier frame, the reduced weight allows the deck to easily float from both side to side and front to back. 2. Exceptional reach. 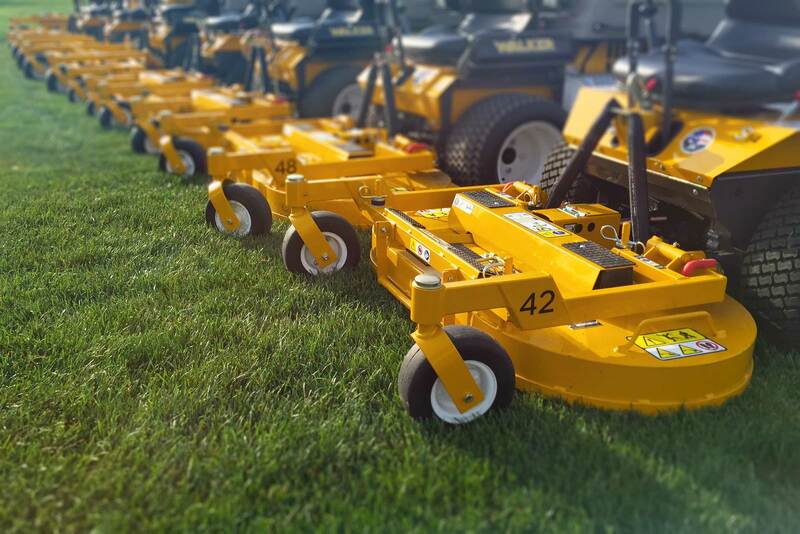 The Walker Mower deck delivers a 15 to 35 percent reach advantage over competitive out front models. This allows the operator to trim close, even under and around hard to reach areas such as low-hanging branches and fences. 3. Light and durable. Deck engineering and design favors structural integrity over excess metal and weight. This enhances the deck’s overall performance, one that leaves a gentle footprint by effortlessly floating over the lawn’s surface.